Informatics Institute of Technology (IIT), the pioneer in British higher education in Sri Lanka, is ready to receive the latest intake of Business and IT students for undergraduate programs from the University of Westminster - UK. Students who sat for the recently-concluded Advanced Level (A/L) examination can join these degree programs with pending results. Students from any A/L subject stream can enrol for a degree program as long as they meet the minimum qualifications - 3 Simple (S) passes for the main A/L subjects along with Credit (C) passes for English and Maths. 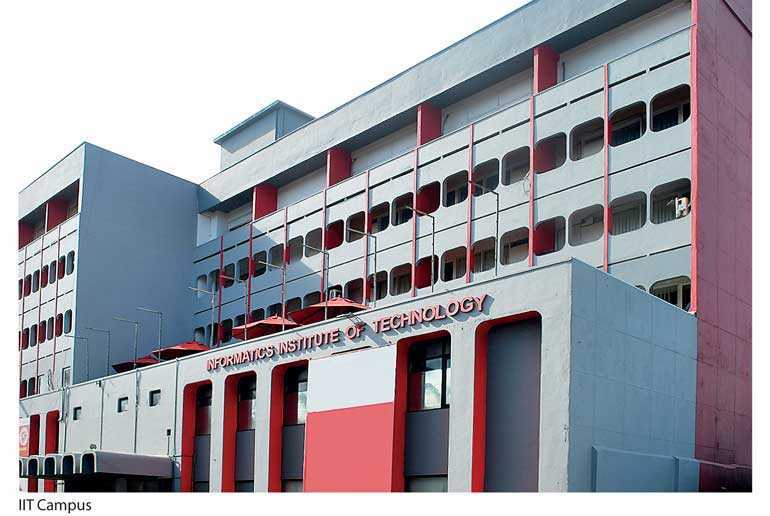 The undergraduate programs offered by IIT from the University of Westminster, UK include BEng (Hons) Software Engineering, BSc (Hons) Computer Science (with Specialisation in Mobile & Web Computing, Gaming & Computer Graphics Development or Multimedia Computing), BSc (Hons) Business Information Systems and BA (Hons) Business Management. The institute also provides a Foundation Certificate in Higher Education for students who do not meet the entry criteria for degree programs as a pathway to Year 1 of a Degree program. The University of Westminster was founded as Britain’s first polytechnic in 1838, and has developed into a university that combines both metropolitan and cosmopolitan dimensions. The University has built a reputation as one of the best in the world for business and management programs, while the business school of the university has been ranked amongst the highest in the world. The university has ranked “Top 15 Most International universities in the world” (Times Higher Education 2017) and Top 30 in the world for International Outlook (THE Young University Ranking, 2017). 90% of the university’s research excellence has been internationally recognised. All IIT degree programs span 4 years, and are specially-designed to meet the challenges of an evolving global IT and Business landscape. The third year of the program is an internship where the student will be placed at a local or multinational blue-chip company to apply the knowledge gained into practice, and obtain invaluable industry and workplace experience. As all IIT degree programs are recognised by the University Grants Commission (UGC), students are able to further their education at local State or foreign universities if required. IIT has also drawn up plans to assist students financially, by awarding scholarships of up to 50% based on the academic and extracurricular achievements of fresh candidates who apply for BA (Hons) Business Management program. IIT provides an all-round education for students and is renowned for empowering them with the knowledge and skills to balance their academic and extracurricular activities. Clubs and societies such as Toastmasters, Rotaract, IEEE, and Mozilla, etc., provide them with the platform to develop communication, leadership, teamwork and skills which will help them excel in their work environment and in life. IIT is the first institute in Sri Lanka to provide degree programs with full British Computer Society (BCS) accreditation. Due to this accreditation, graduates who successfully complete any of the 4 selected degree programs will fully meet the educational requirement for Chartered IT Professional (CITP) registration and are also eligible for professional membership of BCS (MBCS) at the point they graduate. Informatics Institute of Technology (IIT) was established in 1990 as the first private higher education institute that awards reputed British degrees in the field of ICT and Business. IIT is an award-winning campus offering internal postgraduate and undergraduate degrees from the University of Westminster, UK and Robert Gordon University, UK. 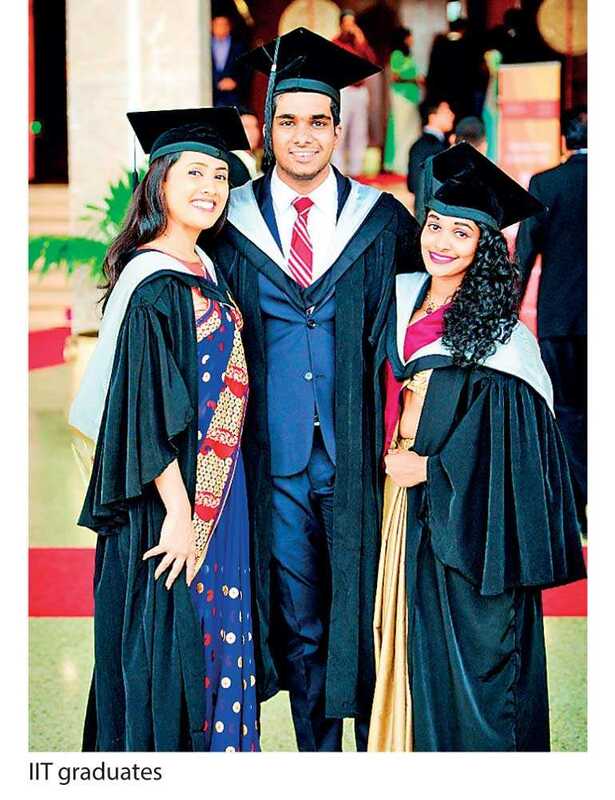 During the course of the past 28 years, IIT has played a pivotal role in strengthening the ICT and Business sectors in Sri Lanka by producing world-class graduates. These graduates have gone on to become successful entrepreneurs and IT/Business professionals in both local and international corporate and government entities. Since its inception, IIT has produced thousands of graduates who have excelled in over 250 organisations around the globe.